This year’s debut edition of the NextGen Series has provided tremendous optimism and dispatched shockwaves of an exciting future for young footballing prospects throughout the continent. The tournament puts sixteen of the best European academy sides against eachother in a Champions League-style format to determine the best youth side on the continent. For potentially world-class talents the NextGen Series represents a unique opportunity to experience all aspects of senior football at a competitive and international level. They face new challenges such as adapting to different types and styles of play as well as prolonged periods of travel, essential for stretching their ability to the absolute maximum and absolutely key for making the sought-after transition to the first team. The tournament, which began in August, is nearing its end with Marseille, Inter Milan, Ajax and Liverpool the four remaining hopefuls contesting the semi-finals later this month. Tottenham Hotspur controversially resigned from the tournament following their progression to the semi-finals after beating Liverpool by a single goal. They fielded an ineligible player and demonstrated immaculate sportsmanship by admitting their wrongdoing. As the tournament entered its final stages, Spurs headed into the knockout phase as one of the favourites after an unbeaten series of impressive results, in particular a 7-1 thrashing of Inter Milan on the opening matchday. However, a club statement was released on 3rd February claiming that the club had breached the rules and would terminate their time in this year’s competition, hoping to return next season. Ajax Amsterdam look the favourites going into the semi-final stage with a quarter-final thrashing of the highly-fancied FC Barcelona providing them with the much-needed confidence to go all the way. The Ajax Academy is renowned worldwide for producing some of the greatest players of our generation including Dennis Bergkamp, Johan Cruyff and Rafael Van der Vaart. Beating an equally prestigious academy side in the form of La Masia by such a convincing margin can only have benefits for the future of European football as Ajax look to return as one of the major sides of world football. FC Barcelona have dominated the Champions League in recent years, winning no less than two titles in three years and finishing runners-up on the remianing occasion, but the NextGen Series has proved that the future for other contenders looks considerably brighter and will provide tough competition for Barcelona to maintain their reign at the top of Europe. The Dutch club boasts a complete schooling program for the youngsters as well as top-class football coaching. Several teachers and academic coordinators are available for the players during their studies as Ajax attempt to organise everything perfectly on and off the pitch. Liverpool remain the only British side left in the competition as the resignation of Spurs and the elimination of Manchester City, Aston Villa and Celtic have proven the toughness of the opposition. The Merseyside club have a 56-acre academy centre at their disposal that includes over ten pitches of different sizes on various surfaces. The words ‘technique’, ‘attitude’, ‘balance’ and ‘speed’ known as ‘TABS’ are the key footballing attributes preached at the academy and have been their key to success since 1998, when the Kirby-based state-of-the-art centre was opened. Marseille’s rich footballing heritage looks set to continue as they beat an in-form Aston Villa side after extra-time in order to reach the semi-final stage. Products of their academy include AC Milan’s Mathieu Flamini and Manchester City’s Samir Nasri as well as World Cup winner Alain Boghossian. As players rise through the Robert Louis-Dreyfus Academy in southern France, a multi-sports zone ensures that they are educated in a number of sports including basketball, judo and swiming to prevent them from over-saturation of football and also develop multiple skills to apply into the game. Inter Milan compelte the semi-finalists with a number of top players coming from their Centro Sportivo Giacinto Facchetti facilities in northern Italy. Goran Pandev, Obafemi Martins and Mario Balotelli are all recent graduates of the 30,000 sq/m academy. Inter were the victims of that 7-1 opening day thrashing by Tottenham Hotspur but have bounced back since and knocked out the previous tournament favourites, Sporting Lisbon, away from home in the quarter finals. They are now hoping they can maintain that form as they take on Marseille in a battle for that lucrative final place. The tournament has provided some really optimistic hopes for some of the top performers as they have came under the continental spotlight. 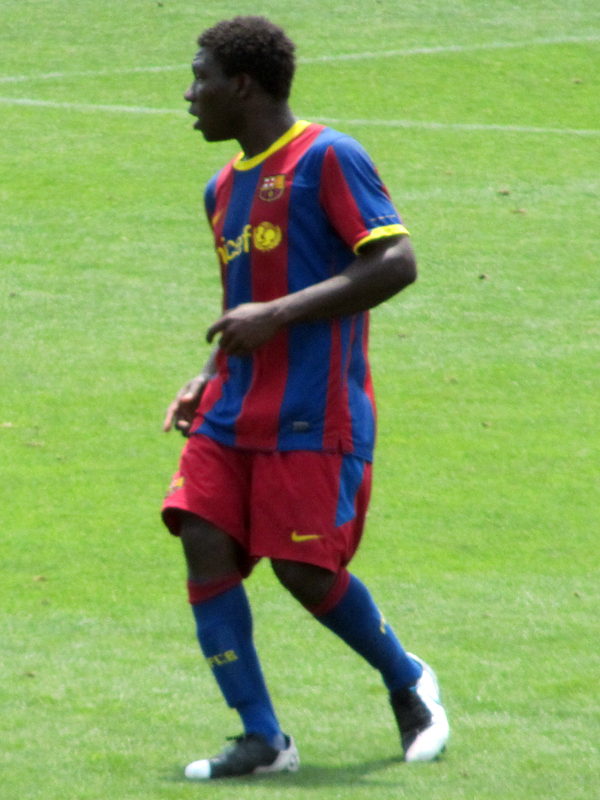 Jean Marie Dongou of FC Barcelona has stood out throughout the group stage and is being dubbed ‘the new Samuel Eto’o’ at the Catalan club. The striker netted six goals in as many matches throughout the group phase and at only 16-years-old has a very bright future ahead of him. Last year he was dubbed the “new Messi” at the Spanish side and has since only heightened his flourishing reputation. He is a very strong individual, much like Romelu Lukaku and possesses bundles of speed. Optimism is also something that Dongou is not short of as he sets his sights as high as achieving what Messi and Eto’o have done for the club. Remarkably, Dongou made a name for himself after he netted over 70 goals in one youth season for the Spanish giants, a feat that shall not be matched anytime soon. Barcelona believe that Dongou will be ready for his first team debut within two years and predict he will be a huge part of the club’s future. Before the NextGen Series there was relatively little coverage on Dongou, but since he has made a huge impression on the continental stage, media outlets are going mad for the youngster who is slowly creating a name for himself across the globe. 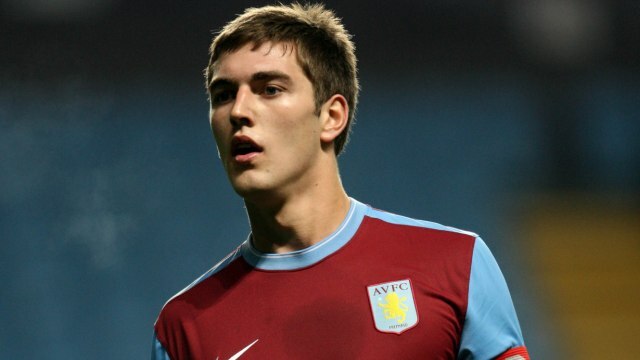 Gary Gardner has been another huge influence on this year’s tournament and has recently been rewarded for his efforts with a first start in the senior side at Aston Villa. He has been a key figure in Villa’s success in this tournament and the skipper has popped up with some key goals throughout the competition. The 19-year-old was sent out on-loan to Coventry City earlier this season but only played four games for the Midlands side as he was recalled and put straight into the Aston Villa senior squad. Whilst on loan at the Sky Blues, he scored nine minutes into his debut in a 2-1 defeat to Brighton and Hove Albion. Gardner’s most impressive performance came in the last game of the group stage when Villa thrashed Ajax 3-0. Gardner grabbed all three goals on this night and really established himself as one of the tournament’s top performers. His rise from the youth and reserve sides of Aston Villa to the heights of first-team football as well as international fame with England Under 21s has been meteoric. In his England Under 21s debut, he came off the bench on the 59th minute and still managed to score twice in a win over Iceland. Scoring comes naturally to the central midfielder, who many tip to be the next Steven Gerrard and if he keeps going at this current pace, there is no stopping Gardner and we could well see him as a regular fixture in the Premier League. This season’s tournament has been such a huge success that it has attracted the interest of a number of big European outfits such as Manchester United, Bayern Munich and Real Madrid, who are all bidding for a place in next year’s tournament. This could lead to the expansion of the competition which will give even more players the chance to impress on the continental stage and hopeful pave the way for more and more stars of the future.